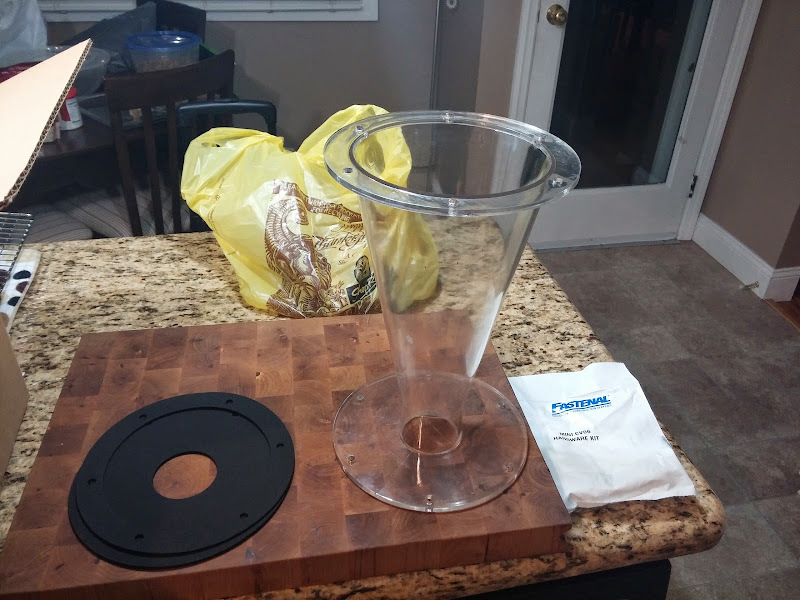 I saw that ClearVue has updated their Mini CV06 shop vacuum separator. I called them up and asked if it would be possible to update my previous generation CV06 and they said it was possible. 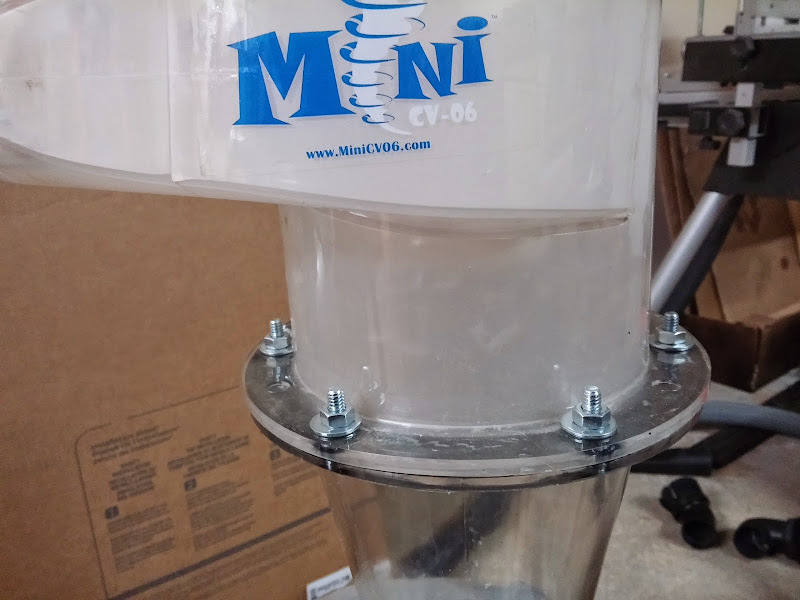 They sent me the parts (lower cone, a couple of gaskets and hardware) for $40 + $10 for shipping. Money well spent in the long run. 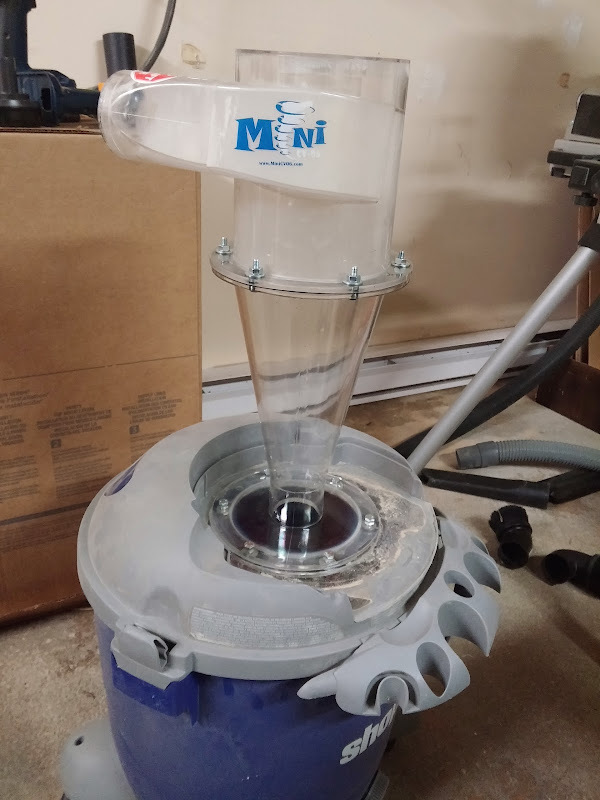 The update really improves the separation to the point with almost nothing gets into the shop vac. 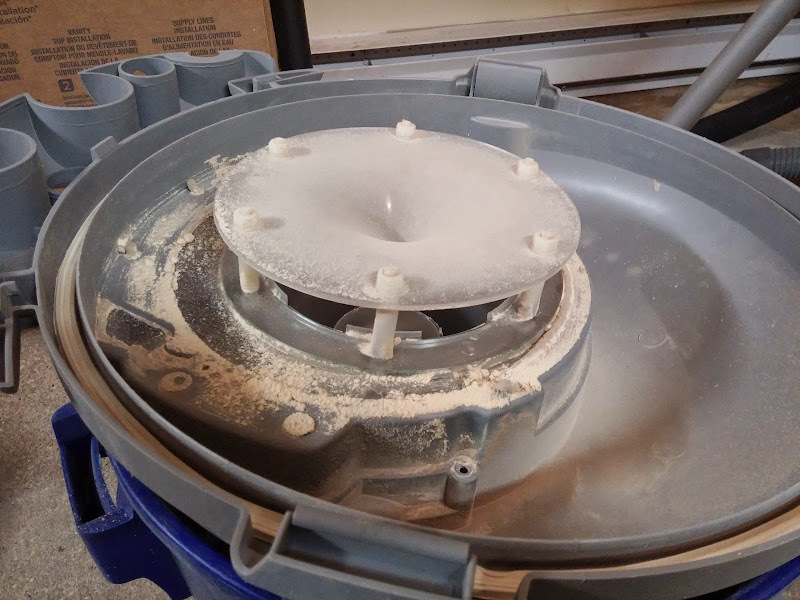 I took apart the CV06 off the old shop vac housing that I had attached it too (see review above). Take the inner plate off, it’s no longer used and the neither are the nylon bolts and standoffs. 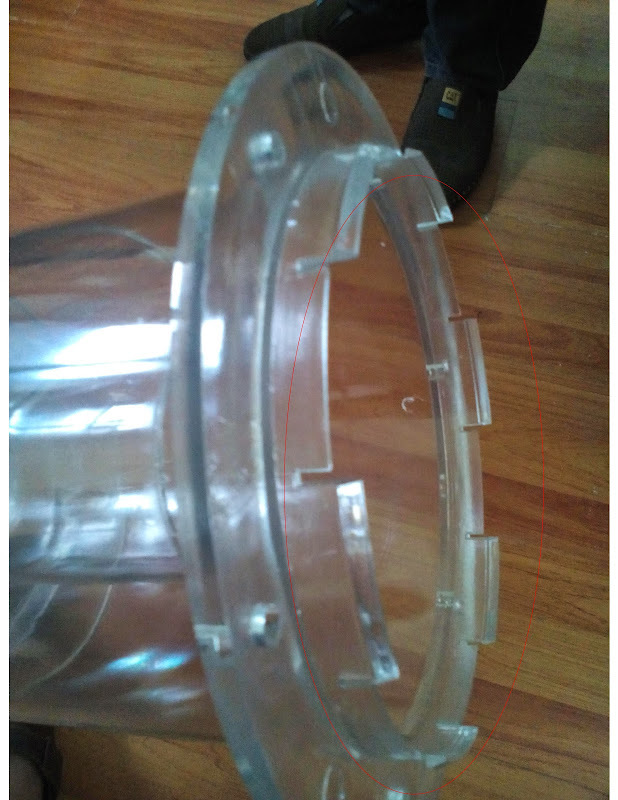 Next you have to modify the upper separator and remove all the material below the flange. Then it’s just use the supplied hardware and assemble. 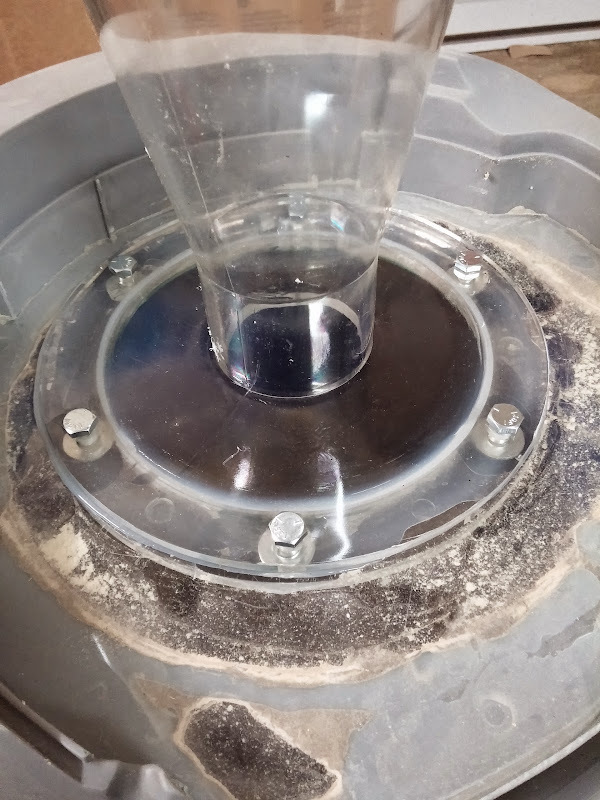 I used the supplied gasket for between the upper separator and cone, but did not used the supplied gasket for between the cone and old shop vac. I used silicone to seal it up. 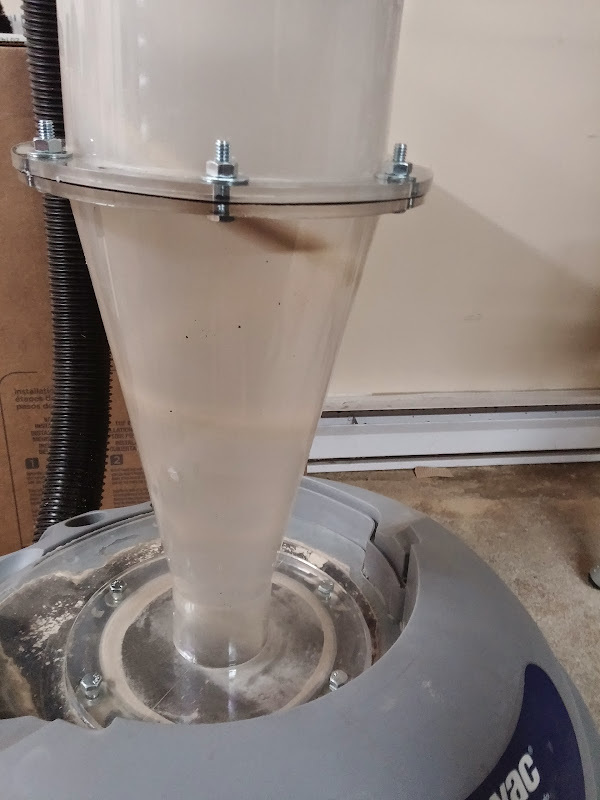 I dumped out all the dust and dirt that was in the separator then removed the bag from the shop vac and vacuumed it all back up and check to see how much got into the shop vac. Almost nothing, some fine dust but much less than before. 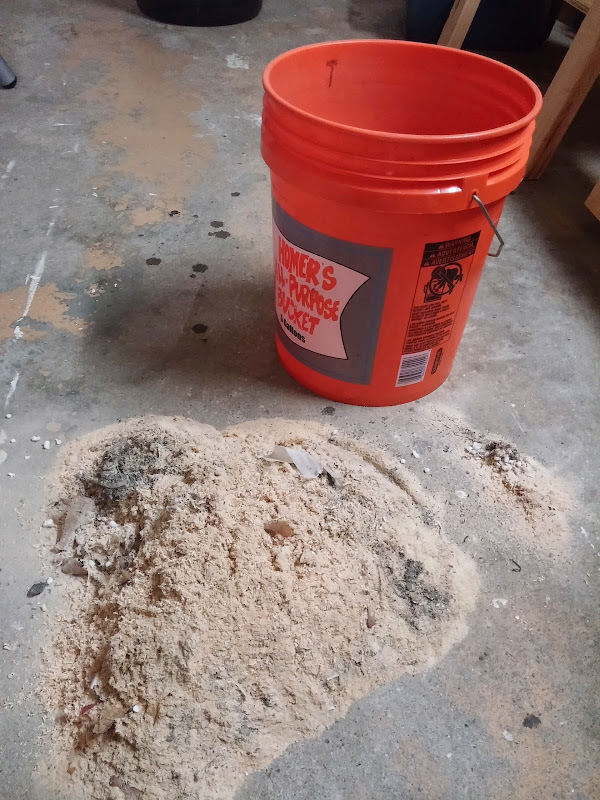 I didn’t clean out the shop vac, so it wasn’t perfectly clean. Lastly, a video of it working, sorry about the bad video. To lazy to reshoot it or edit it. I have to ask, does this make your vac top heavy or is it supported in some way? I am pretty sure it would be tippy on a 5 gallon bucket. But on the old shop vac base it’s pretty stable. if I pull it by the hose it doesn’t tip. 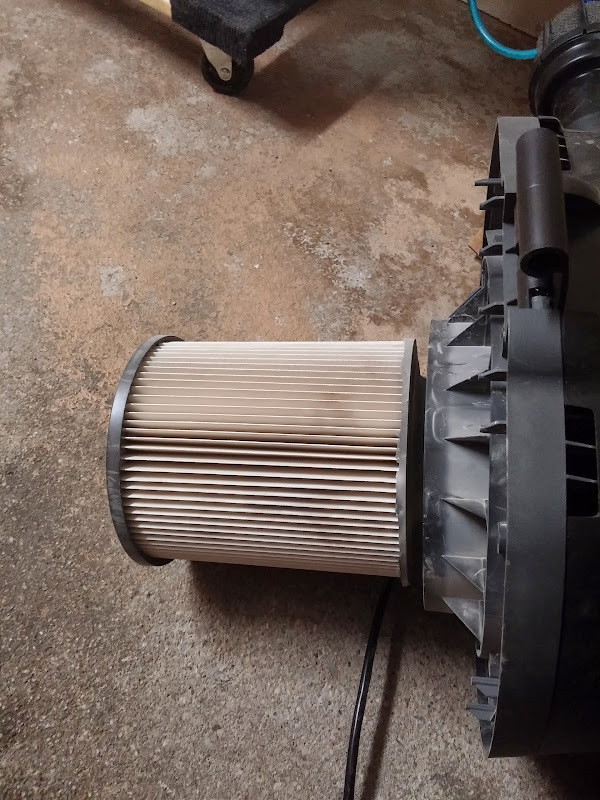 Thats one impressive filter after being used to vac wood dust. Looks like an great product. Great review. 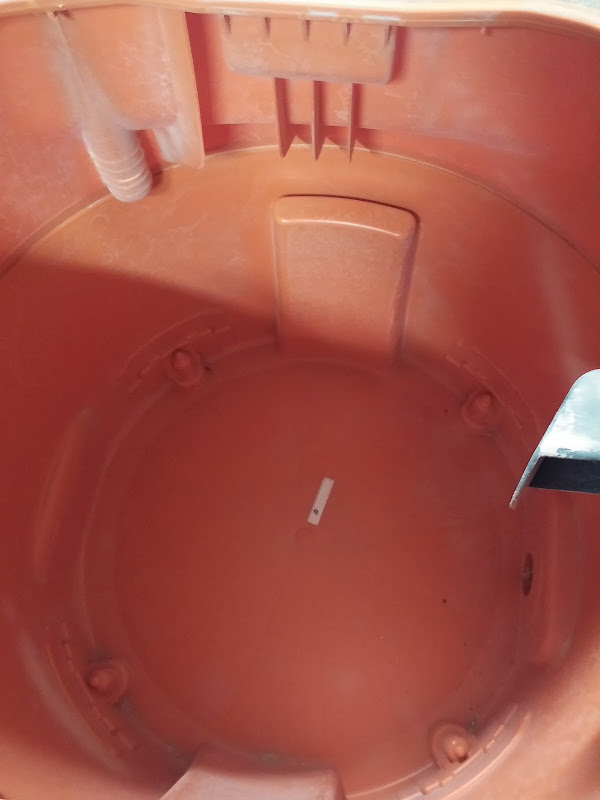 Do you happen to know what size hole saw to use for the hole in the collection bin(shop VAC in your case)? Thanks for the updated review Bill. I also have the original design, and went back and dropped the rating on it. 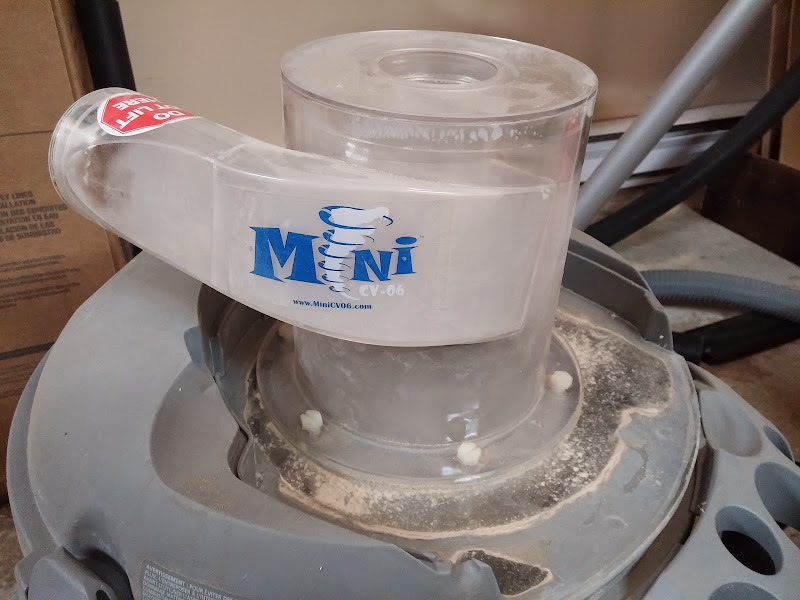 After using it for about 18 months, I have been just getting too much dust into the shop vac. I have also been considering an upgrade too, but been unwilling to pull the trigger. Something like that is what I have wanted for a Loooooong time.